Christian Covington may be fully entrenched in helping his Houston Texans make history these days, but that doesn’t mean he still bleeds Fighting Irish purple. Vancouver College, of course. 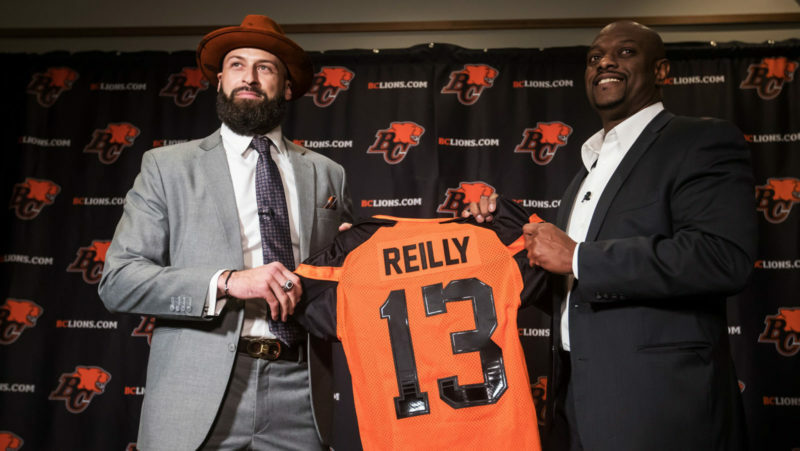 As his alma mater prepares to battle St. Thomas More in the Grade 8 Provincial Final (Subway Bowl) on Saturday, the Texans defensive lineman and 2015 BC Lions draft pick is feeling a little nostalgic as he prepares to battle Baker Mayfield and the Cleveland Browns this weekend. And despite winning a provincial title to cap off a brilliant high school career as a senior, the Grade 8 rivalry with ST. Thomas is something that always stuck him. “Shoot, despite all of my great years at VC we never won in it all in Grade 8,” Covington recalled Friday in between practice and defensive meetings in Houston. And you get the sense he and his current teammates are beginning to craft similar memories. Entering the crucial final quarter of NFL regular season play, many of the AFC storylines are similar to years past. The New England Patriots and Pittsburgh Steelers are comfortably on top of their divisions. The always- stingy Baltimore Ravens are in the driver’s seat for a Wild Card spot. And then there is Covington’s Texans who have, perhaps quietly, become the first team in league history to start 0-3 and then win eight straight. 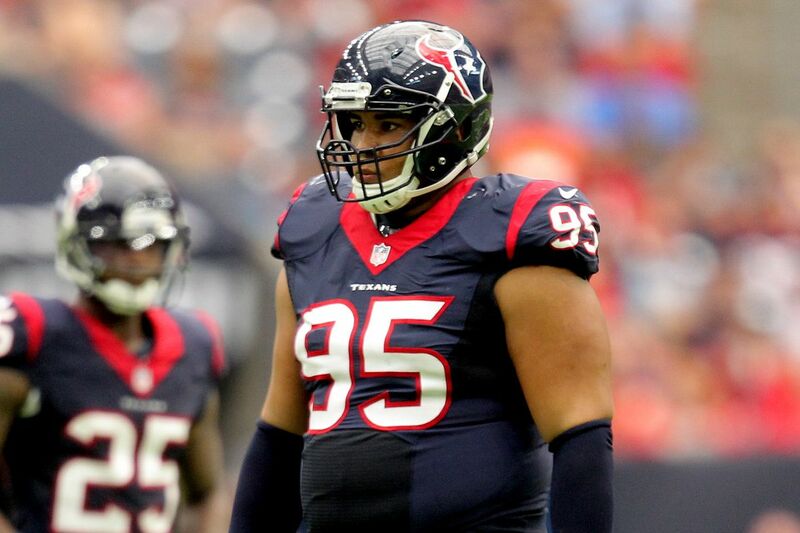 Although they have won the AFC South four times in the last seven seasons and certainly could have in 2017 if not for a season-ending injury to dynamic quarterback DeShaun Watson, the feeling this time is they could be a legitimate threat to represent their conference in the Super Bowl. “Honestly, it’s an exciting time right now,” Covington said. And maybe it helps that their most recent win came in prime time, a 34-17 dismantling of the Tennessee Titans on Monday Night Football. After an early 10-0 deficit, Covington played a key role of the defensive turnaround and recorded 2.5 sacks on Marcus Mariota. “I’m just out here to do my job,” the Fighting Irish Alumnus said. 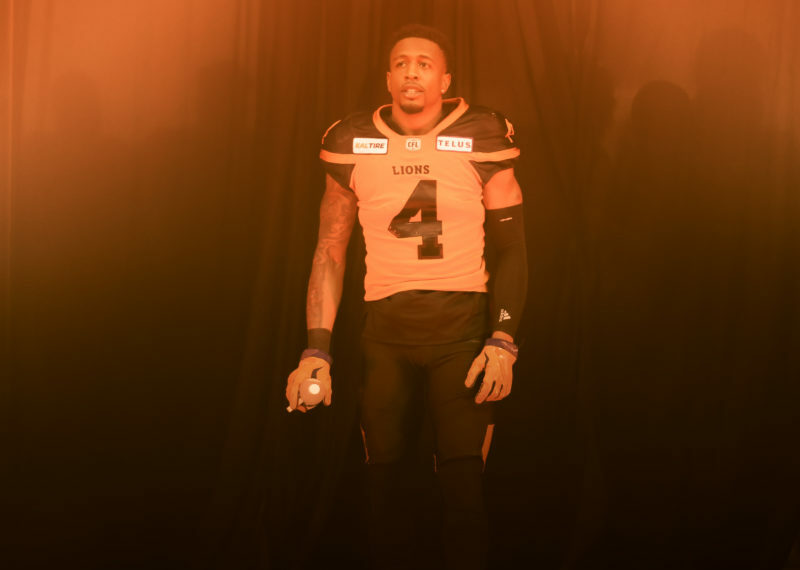 The Lions still hold Covington’s CFL rights, yet at this rate, they won’t be seeing him migrate north anytime soon. That was well-known when they took a flyer on him in round five of the 2015 draft. Covington was the top-ranked player at that year’s combine. 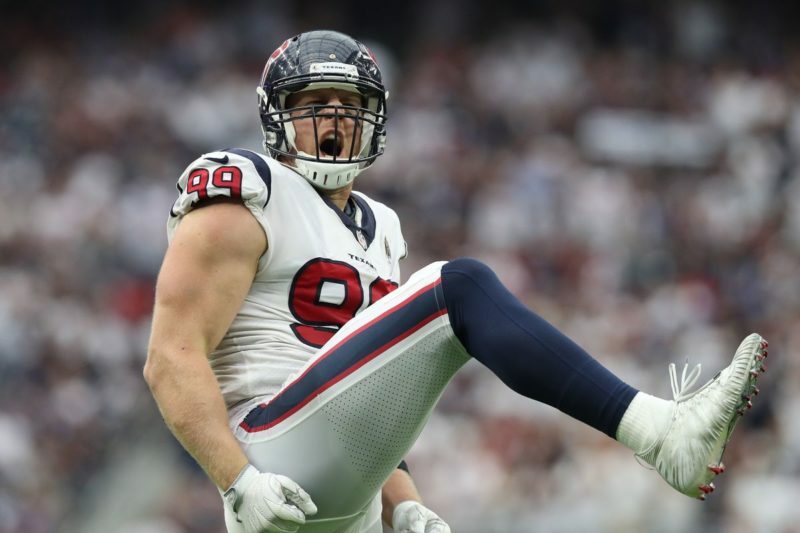 A big reason he has made an impact down south is some of the important mentors he’s had along the way, including four-time Pro Bowl selection and one of the NFL’s great characters in JJ Watt. Along with being a great teammate and leader, Covington is impressed by the fact Watt is the same guy off of the field as he is on it. “He does everything the right way,” Covington explained. It also can’t hurt having his father Grover living with him in Houston. 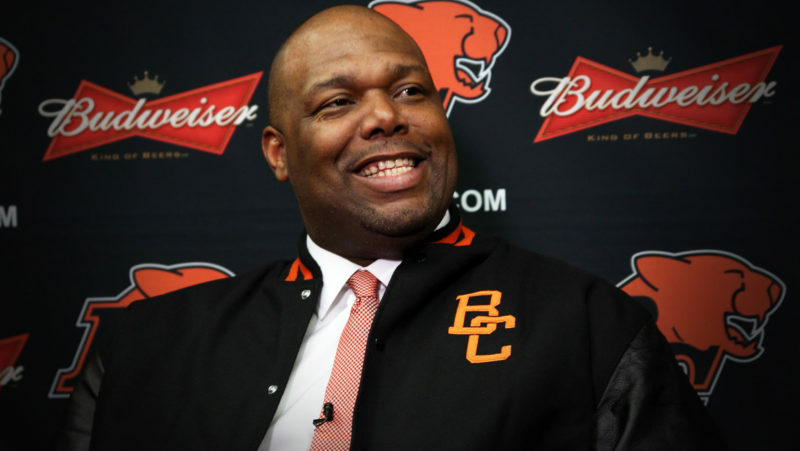 The elder Covington, of course, is a Canadian Football Hall of Fame inductee and took home the Grey Cup Defensive MVP in 1986 when his Hamilton Tiger-Cats sipped from the mug at BC Place. “He remains such a big influence on me, my coach and mentor from day one,” Christian said. 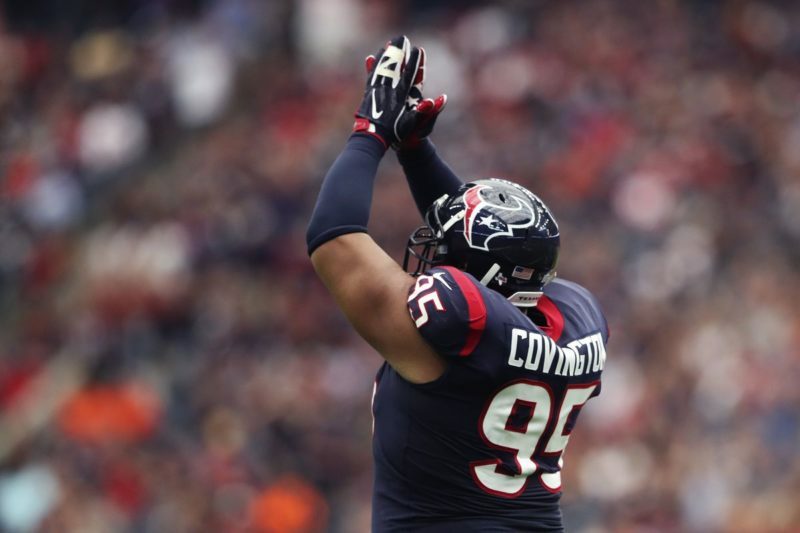 From Irish purple to Texans steel blue, Covington has made an impact wherever he has gone. Having never forgotten about his roots, the quest for a Super Bowl ring is on in the Lonestar State. **Tickets for the entire day of action can be purchased at the door for $20.00.